Alyssa Gardner is able to talk to insects and plants, a curse that stems from her ancestor Alice Liddell, the girl who was Lewis Carroll’s inspiration for Alice’s Adventures in Wonderland. Alyssa’s mother has the same curse, and has been living in a mental hospital for years. As her mother’s condition worsens, Alyssa realizes that the only way to break the curse is to find a way into Wonderland, if it actually exists. What she finds is a much different Wonderland than Lewis Carroll wrote. She must pass a series of tests that will allow her to fix Alice Liddell’s mistakes before she is allowed to leave Wonderland and return home. She also has to decide between trusting her friend Jeb, who she has been secretly crushing on for years, or the mysterious Morpheus, who seems to be hiding something. I’m not going to lie–ninety percent of the reason I picked up this book was because of the gorgeous cover. I’m usually not one to judge a book by its cover, but this cover really drew me in! I also really love retellings, so I was very excited to read this. Honestly though, I was a little bit disappointed. I was never hugely into Alice in Wonderland, and I’ve actually never read Lewis Carroll’s book. Splintered presents a much different Wonderland than the Disney version, which is pretty much where my limited knowledge of the story comes from. A lot of this book is super creepy. I’m not usually one to shy away from a creepy book, but some of the stuff was a bit out there for me. For example, Alyssa’s favorite past time is murdering insects and using their dead bodies to create “art”. Now, I know there are many different forms of art, but while some may view this as artistic, I was just plain grossed out. And also–how cruel! I’m no fan of bugs, but killing them for art is really unnecessary. Alyssa herself was pretty uninteresting and she tries too hard to present a certain image of herself that seems to cater to her crush’s interests. I also didn’t like either of the male characters in the story. Alyssa’s friend Jeb is a jerk–he leads her on by flirting with her all the time but meanwhile is dating her high school rival, a girl who cruelly teases Alyssa and throws her relationship with Jeb in her face. Morpheus, Alyssa’s guide in Wonderland, is just super creepy. He has insect wings, is extremely manipulative, and weirdly possessive of Alyssa. Also, the love triangle is focused on way too much and takes away from the rest of the story. While the world building of this very dark version of Wonderland was really well done, the rest of the story seemed really dragged out. The tasks that Alyssa has to complete in order to reverse Alice Liddell’s mistakes were really interesting but made the story seem tedious after awhile. I feel like it took me forever to get through this book, and it was one of those times that I was eager to reach the end just for the sake of the story being over. The ending really disappointed me also because while it was definitely not something I had expected, I was still left feeling like the story had gone nowhere. Overall, Splintered presented a much darker version of the traditional Wonderland and while the world building was excellent, the love story took too much of the focus and the characters were not very likable. This is one of those books where I feel like the idea had a lot of potential but it didn’t live up to my expectations. 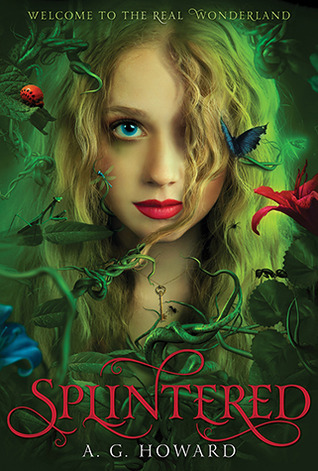 Splintered was released on January 1, 2013 and is the first book in the Splintered series. The second book, Unhinged, is set to be released on January 7, 2014. Lark Ainsley is a sixteen year old girl living in a city enclosed entirely by a dome made of energy. The dome is all that protects the city from the monsters living outside in the wilderness. In order to sustain the dome, however, the city needs to harvest magical energy from its children. When it is Lark’s turn to be harvested, it is discovered that she is a Renewable and is able to regenerate her energy each time it is harvested. When she realizes that the Architects of the city intend to keep putting her through the painful harvesting process indefinitely in order to constantly use her energy, she decides to escape the only home she has ever known. She escapes into the wilderness alone in search of the Iron Wood where she hopes to find others like her. This book had such incredible world building! I loved reading about the post-apocalyptic world that Lark traveled through to find the Iron Wood. The ways that magical energy created domes was really interesting–some domes froze the entire area under it in a specific time and others preserved an entire forest inside. I really liked Lark; she is brave and while she does have trust issues after finding out what the Architects wanted to do to her, she learns to trust again by the end of the book. She both literally and figuratively makes a long journey from start to finish. She meets a wild boy named Oren who helps her survive even though they are both reluctant to trust each other. He is terrified of the Iron Wood and tries to convince her not to go there but Lark is set on finding others like her. Their relationship really grew throughout the book and there was a serious twist near the end that I never saw coming! 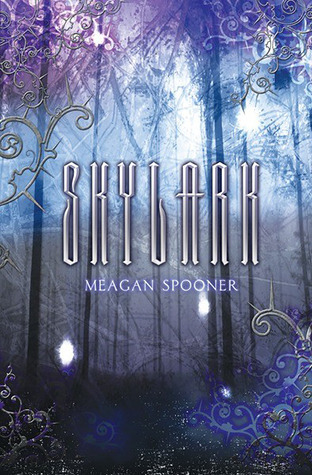 Overall, Skylark was an exciting book full of incredible world building and so many unexpected twists! I am definitely excited for the sequel, and I hope to find out more about what happened to make the world of Skylark the way it is. Skylark was released August 1, 2012 and is the first of a series. The sequel, Shadowlark, is due to be released in 2013. Mystic City is a fantastic debut novel by Theo Lawrence. In Mystic City, which is actually a futuristic New York City, global warming has caused the water to rise so much that the city streets are flooded. People eventually built the skyscrapers up even higher, so that the upper class of Mystic City lives above the flooded streets and travels from building to building in a sort of air train. The city is powered by energy from Mystics (people who possess magical powers) and the city is divided into East and West, with a different family ruling each side. Mystics are forced to be drained of their energy twice a year so that they are unable to revolt and use their powers on anyone else, and they are forced to live with the rest of the poor and destitute down on the flooded streets. Aria Rose is the daughter of the ruling family on the West side of the city. She wakes up in the hospital, not knowing what has happened to her, and is told by her parents that she overdosed on mystic drugs and has amnesia. According to her parents, Aria had been carrying on a secret romance with Thomas Foster, the son of the ruling family on the East side of the city. When Aria was taken to the hospital, Thomas apparently told Aria’s parents about their relationship and that he wants to marry her. Even though the Fosters and the Roses have never gotten along, they both agree to join their families together and allow Thomas and Aria to get married. The only problem? Aria doesn’t remember even meeting Thomas, let alone carrying on a forbidden romance with him. Aria knows that something fishy is going on and does not just take her family and Thomas’s word that she has been in love with him for months. She decides to discover the truth and find out why exactly her family is so desperate for her to marry the son of their sworn enemy. She ventures into the depths of the city for answers and meets Hunter, a rebel mystic who seems to know more about her than he’s letting on. She begins to realize that there is more at stake than just her memories and that her choices no longer affect just her, but the whole city. 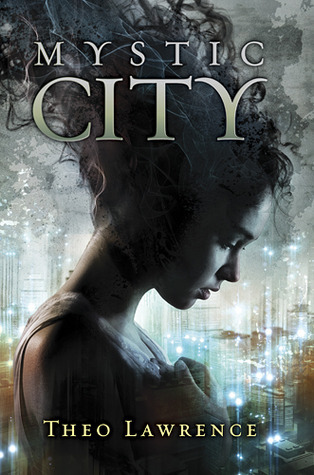 Mystic City was full of fantastic plot twists and was a huge page turner. I really like Aria and how she grew from a girl who would just follow her parents’ orders without question to a girl who would defy her parents to uncover the truth. This book definitely hit home with me because global warming is becoming a bigger threat every day, and after what just happened up here with Hurricane Sandy flooding parts of Long Island and New York City it is not hard to believe that global warming could cause flooding and put the entire island of Manhattan underwater. It is definitely a scary thought and Mystic City was an interesting and frightening take on what could become of our city if it floods (magic and mystics aside). Overall this was a great debut for Lawrence and an interesting start to what promises to be a fantastic series. Mystic City was released on October 9, 2012 and is the first of a series. The sequel, Renegade Heart, is due for release in 2013.